Keep our world beautiful by giving some green to save some green! At Green Theory, we love the outdoors and all it has to offer as much as you. Its our responsibility and duty to protect, advocate and help improve habitat and waterways for future generations. In order to make a difference and protect the environment we all live in, Green Theory has committed to donating 10% of our profits to environmentally conscious organizations. Donations are made on a quarterly basis and rotate to different organizations. This quarter, Green Theory will be contributing to the Coalition for the Deschutes who strives to advocate for the Deschutes River in central Oregon. They're doing amazing things to keep the river system a healthy habitat for plants, animals and people now and into the future. 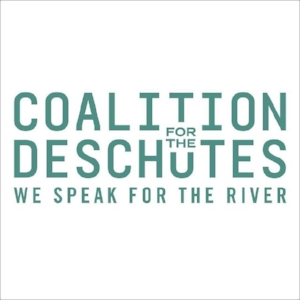 You can learn more by visiting their web page coalitionforthedeschutes.org or follow them on social media @coalitionforthedeschutes! Keep up with us on social media to see where each donation goes and learn how you can get involved.